Beyond the Fence – Welcome! Did you enjoy Beyond the Fence? Send us your comments here or connect with us on Facebook or Twitter. Sign up for our newsletter to receive updates about new titles from Marilyn Horn and other Thinking Ink Press authors. The worlds in Marilyn Horn’s stories are sometimes dark, sometimes surreal, and sometimes both–and yet not so unfamiliar. No matter how fantastic the world, loneliness is the enemy, connection the goal. Within these pages, a brother and sister look to the cosmos for answers as death makes its steady approach. A monster longs to destroy the evil he sees beyond his attic window. An outcast dolphin finds her place spinning tales of hope and inspiration. A woman forced back home plunges into old magic to save a dog’s life. A lone survivor creates a new world with the only thing the dead have left behind. A mother awaits her son’s return but finds her one ally has lost all hope. A soul languishing in heaven prays his soul mate won’t find another reason to stay on Earth. And, in the title story, a seed seller vows to save at least one lonely soul from an eternity beyond the fence. 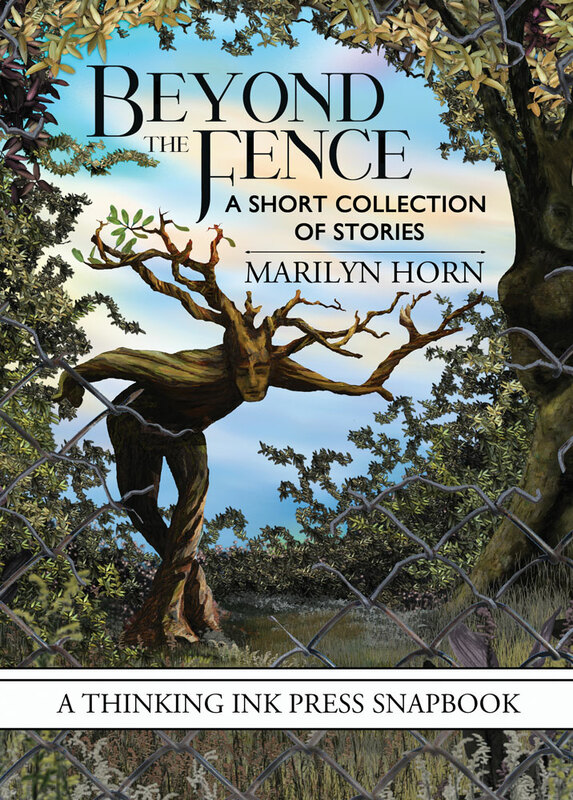 “The stories in Marilyn Horn’s Beyond the Fence are strange. But the strangeness is just one of their charms, for by the time we’re exiting the stories, the strange has come to seem familiar—even ordinary. This is a testament to Horn’s powers as a storyteller. She creates worlds in which talking dolphins and soul DNA and attic monsters are both astonishing and commonplace.